Director Vikram K Kumar informed us in an interview today that he is writing a prequel to 24 film. The fim 24 kicks off with Aathreya character killing his twin brother. The prequel is expected to explain the rivalry between twin brothers and what compelled Athreya to go after the watch which initiates time travel. Suriya’s starrer 24 is doing well and the team has trimmed few scenes and songs after taking feedback from the views. 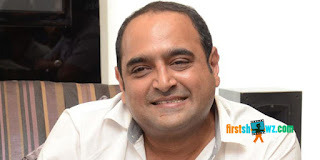 Vikram Kumar has started writing prequel to 24. Other details are awaited.